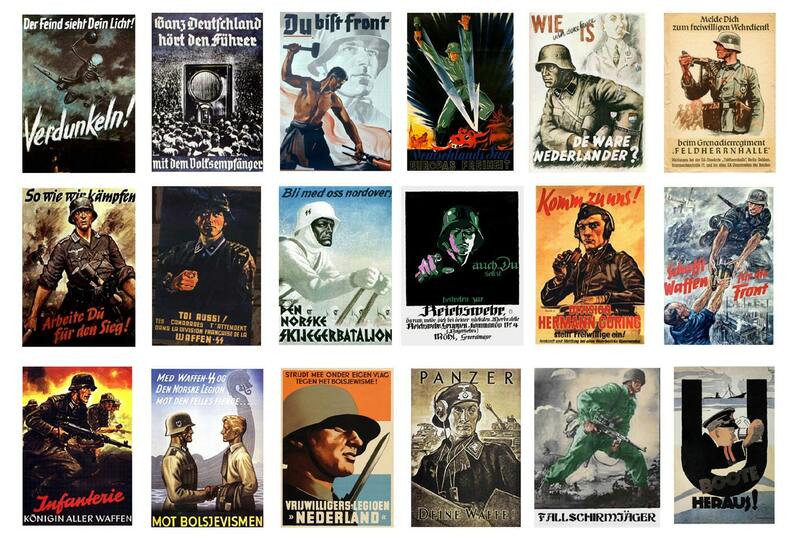 This is a sheet of propaganda posters for 1/32 scale models and dioramas. These are suitable for use in any diorama or railroad layout in a comperable scale. This sheet is printed on photo paper using photo dyes for durability. This sheet includes 18 posters. These are scale posters for scale models and dioramas. They are not real posters. They do not depict prohibited symbols.